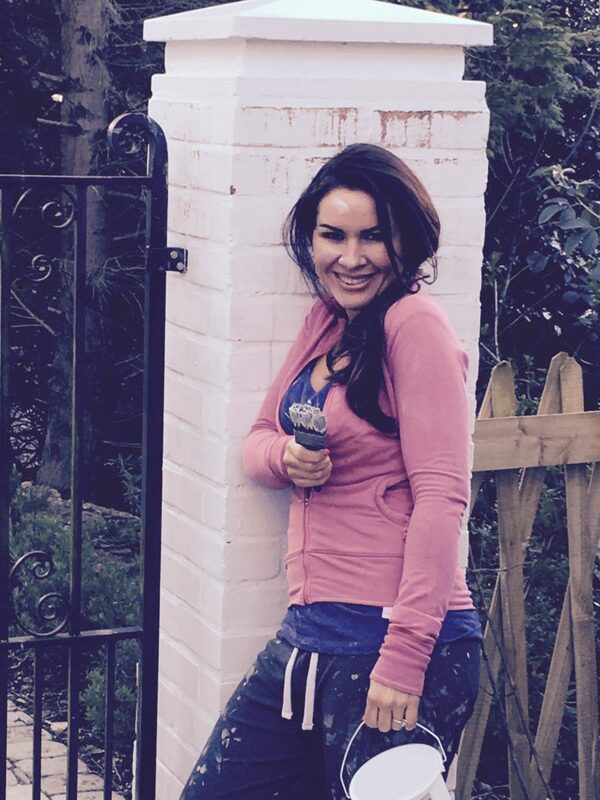 If you’re after a DIY, interiors or property presenter you can view Georgina’s regular updates on The Home Genie. Georgina is a natural at chatting about one of the nation’s favourite subjects, from the housing market to DIY interior projects. Her ability to natter on makes her live DIY demonstrations on Facebook a synch! In 2016 she presented whilst painting furniture for 24 hours straight as a fundraiser for Children In Need. Georgina isn’t just a property presenter though and has worked across many genres in her 16 year career. She is well known for her roles as BBC weather presenter, reporter and video journalist. You may have seen her on BBC London, Scotland, Wales, South, South East and East Anglia. Her reports have also been broadcast on Sky News International, BBC World News, CNBC and Euronews. Georgina also chats about property and interiors with Martin Roberts on Talk Radio. Georgina loves the thrill of live television and has many a story of having to carry on when things aren’t going according to plan. She’s been up a bell tower talking over chimes in the background and in live studios with a broken autocue. You might say Georgina has a wealth of experience of gliding through troubled waters on screen! Give Georgina a shout if you’re after a presenter for corporate projects. She is comfortable with all situations from live events to pre-recorded video shoots. Georgina’s long list of happy clients is testament to her versatility and professionalism as both script writer and presenter. As a 2i English Literature graduate from the University of Warwick and an NCTJ trained journalist, Georgina can fluently self-script and is never short of words! Her work as a print journalist has appeared in over 30 publications. These include The Sunday Telegraph, The Sunday Times, The Guardian, The Independent , 25 Beautiful Homes magazine The Institute of Leadership and Management,50 Connect,QuidCo,Glamour, Good Housekeeping, Woman & Home, Cosmopolitan, Prima, Marie Claire, The Sun’s Fabulous and MSN Health. Georgina has also been Reviews Editor and is on the expert panel for Women’s Running magazine. If you are after a property presenter and would like to speak to Georgina please feel free to email Georgina@GeorginaBurnett.com. If you are looking to sponsor content on The Home Genie please use this same address.